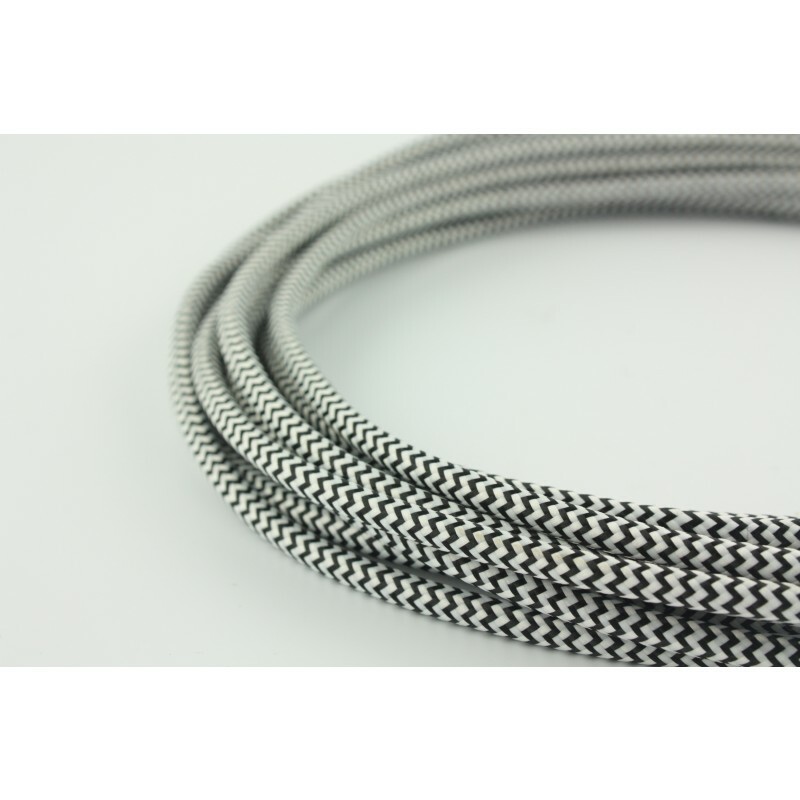 This double-core textile cable has a nice black and white zigzag pattern. 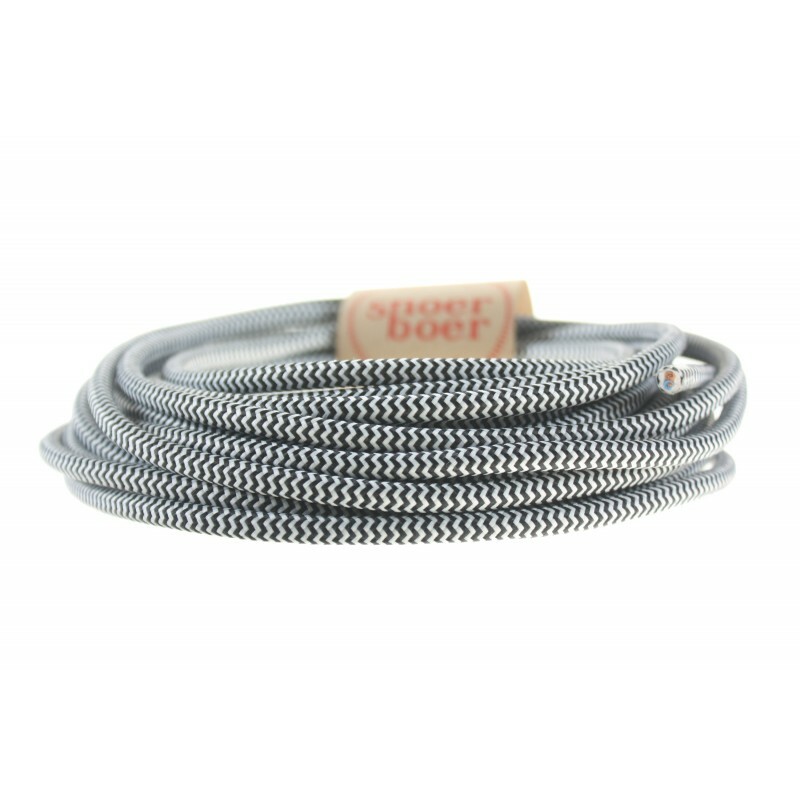 Bring more color into your home or office with our Snoerboer textile cables. 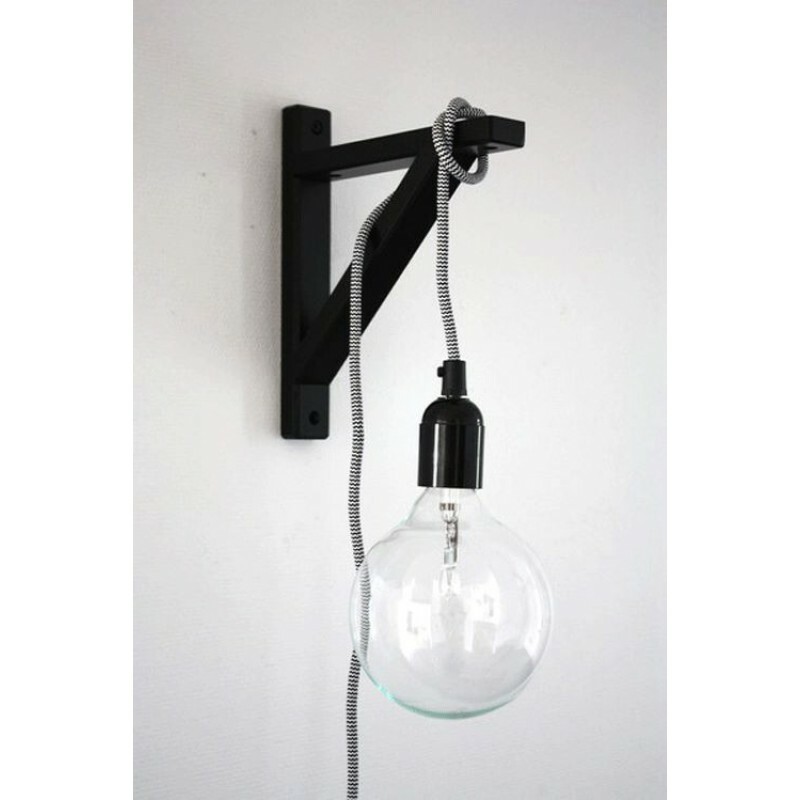 Create your own lamp, or just redecorate your old one. 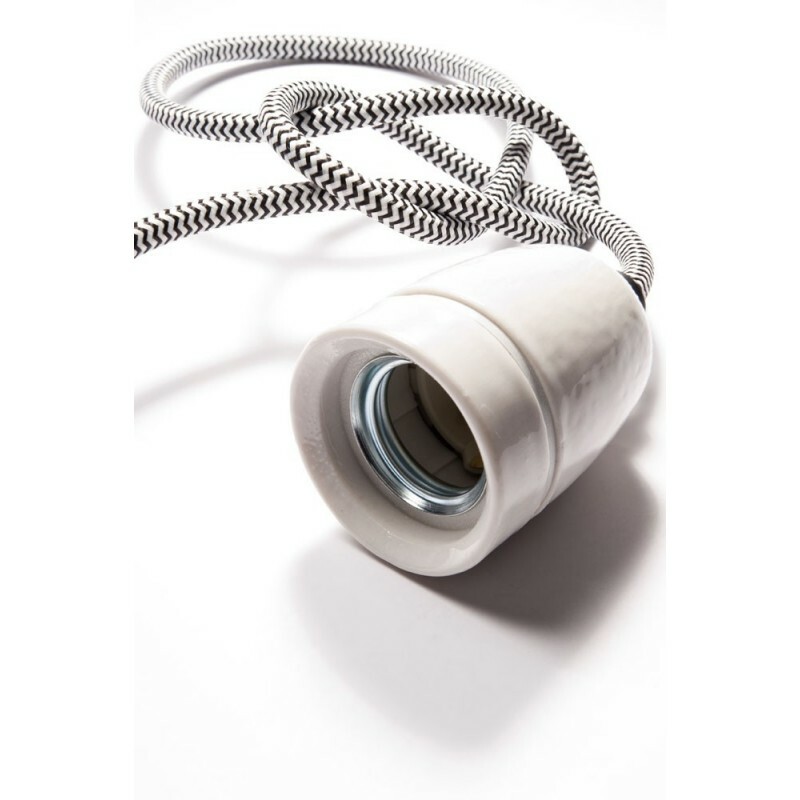 Also take a look at our other products, such as our beautiful lamp holders, ceiling roses, and big lightbulbs. Double-core cables are not suitable for sockets or devices that need a ground wire. Please keep in mind that the color of your cable may differ slightly from the pictures on Light Essentials.